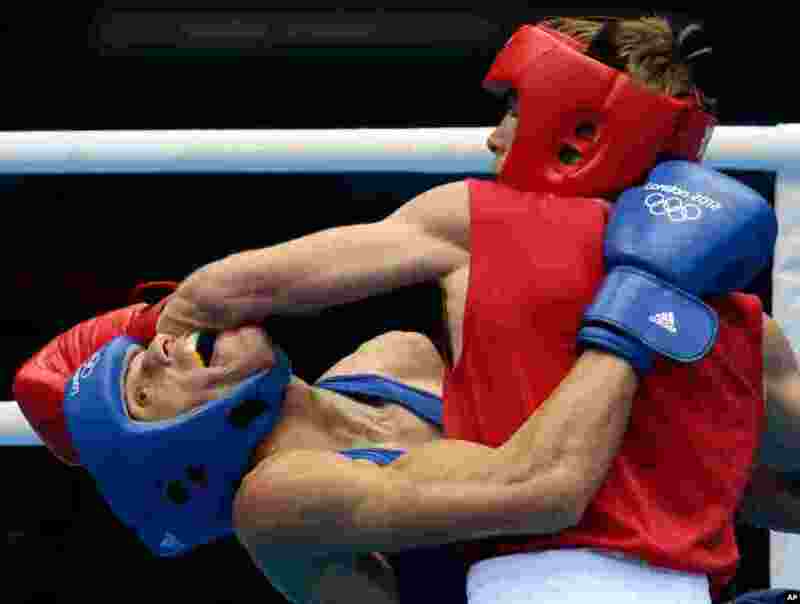 1 Russia's Sergey Vodopiyanov, right, fights Brazil's Robenilson Vieira de Jesus, during their men's bantam 56-kg boxing match. 2 Great Britain's Heather Stanning and Helen Glover celebrate after winning the gold medal for the women's rowing pair in Eton Dorney. 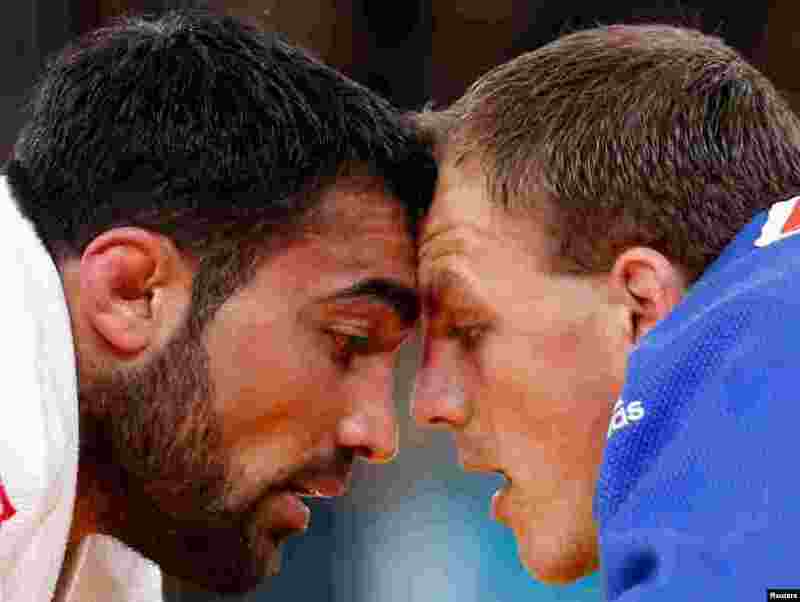 3 Greece's Ilias Iliadis fights with Lithuania's Karolis Bauza (blue) during their men's -90kg elimination round of 16 judo match. 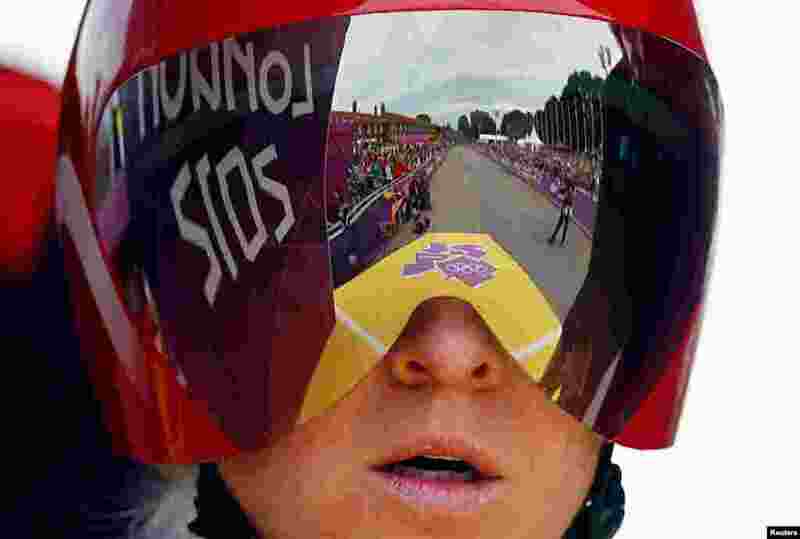 4 Britain's Emma Pooley waits to start in the women's cycling individual time trial. 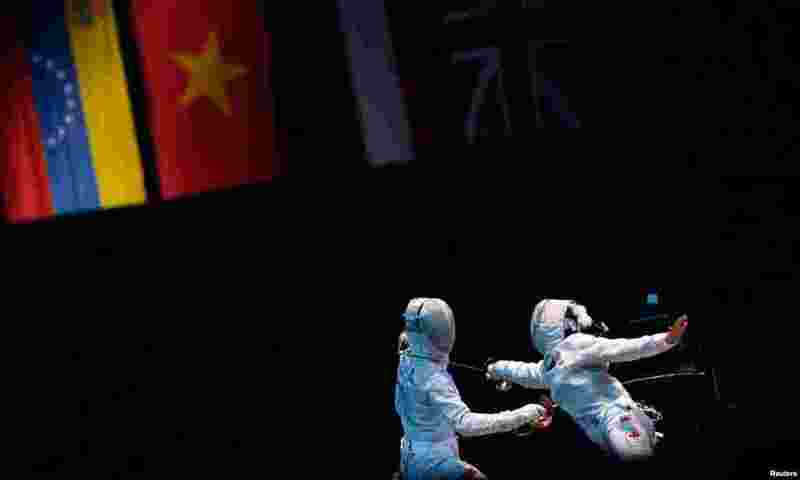 5 Poland's Aleksandra Socha (R) competes against Canada's Sandra Sassine during their women's sabre individual round of 32 fencing competition at the ExCel venue. 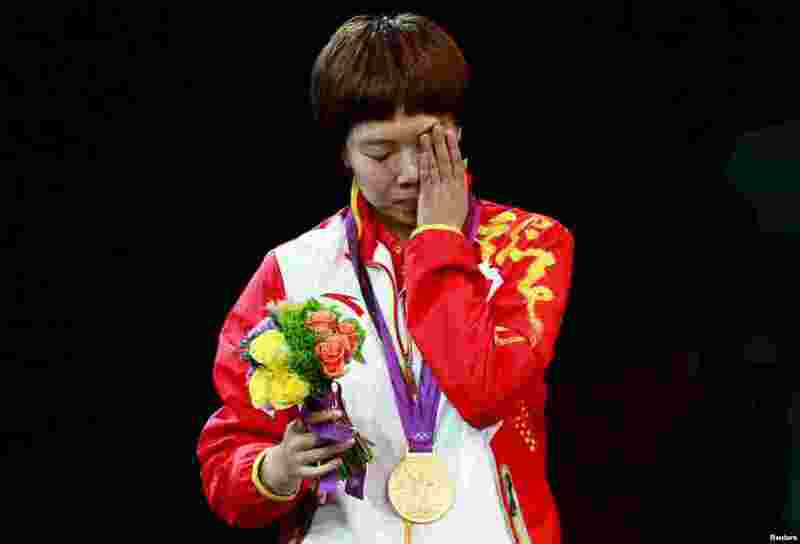 6 China's Li Xiaoxia after being presented with her gold medal at the women's singles table tennis tournament finals. 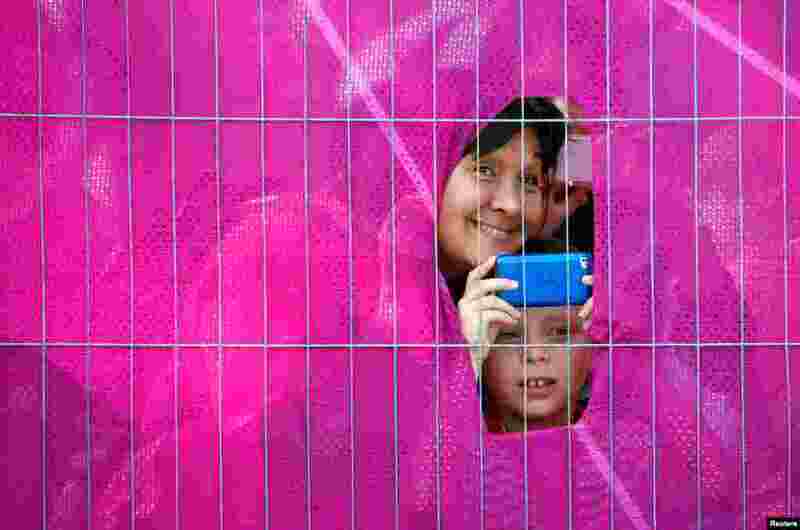 7 Spectators watch the men's cycling individual time trial. 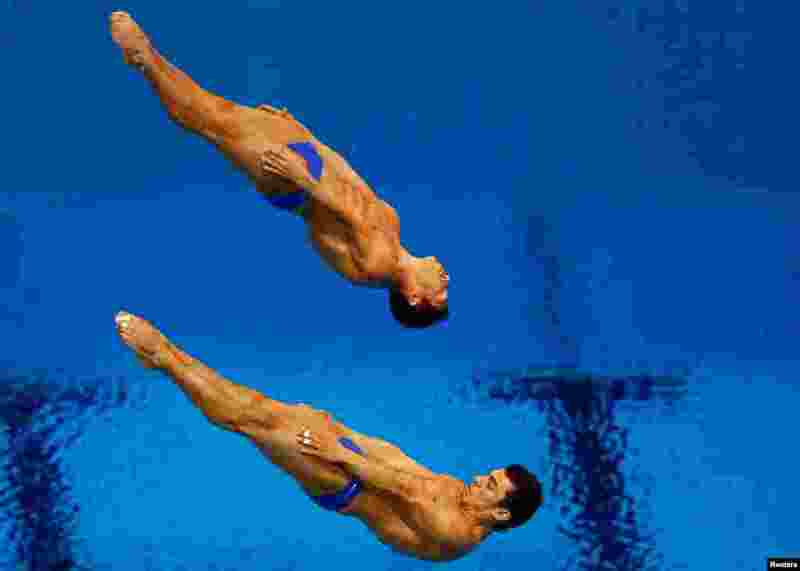 8 Mexico's Yahel Castillo and Julian Sanchez (top) perform their second dive during the men's synchronised 3m springboard final. 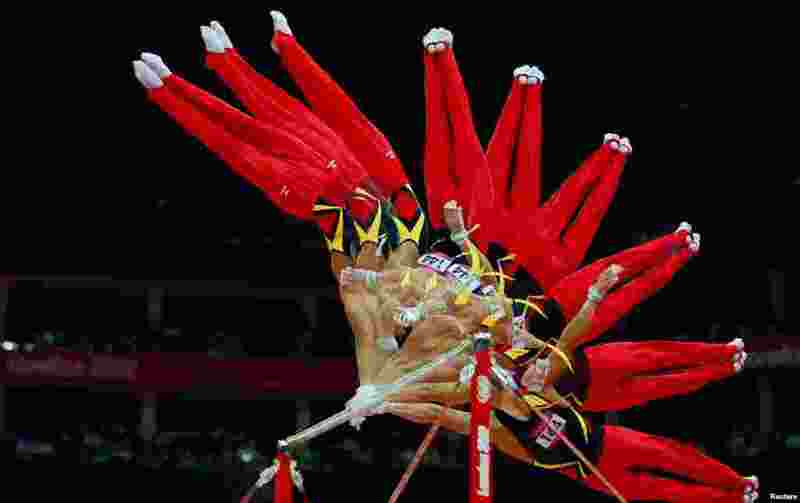 9 Marcel Nguyen of Germany competes in the horizontal bar during the men's individual all-around gymnastics final. 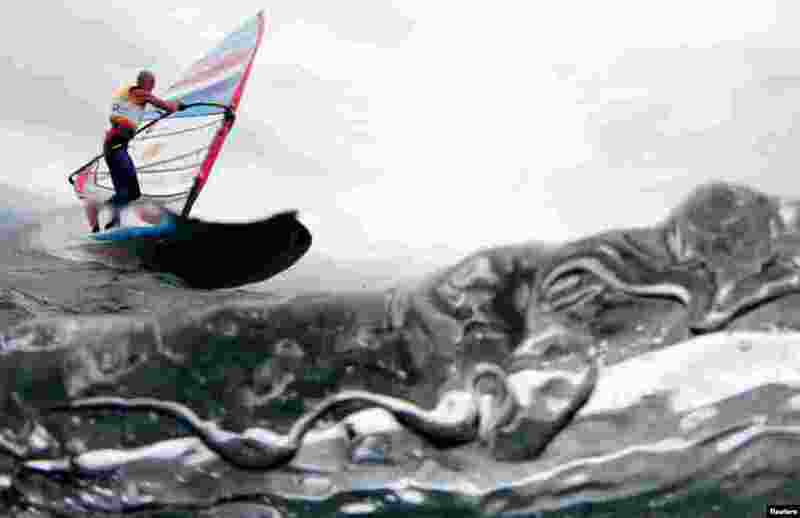 10 Netherlands' Dorian Van Rijsselberge sails before the third race of the men's RS-X sailing class at the London 2012 Olympic Games in Weymouth and Portland, southern England.